The following is a description of Week 3 (Home) of the Learning Theories module. (4) Albert Bandura (1925 – Present)…..associated with observational learning. proximity, similarity, continuity, closure as well as the information processing model of memory based on the work of Atkinson and Shiffrin, 1968. The following is a description of Week 3 (Class) of the Learning Theories module. Today’s class represented the third class of five classes that will constitute the core teaching section of Module 1 (Learning Theories). The lecturer for today was Dr Jen Harvey. Today’s class dealt with the two major learning theories: Behaviourism and Cognitivism. Note: Albert Bandura chose to study aggression. His work formed the basis for social learning theory. Sees human beings as automatons. The Information Processing Model views learning as information processing. Model of Memory (Based on Atkinson and Shiffrin, 1968). Boud (1981) – desire to learn something by the student influences the outcome of their learning. The Personalised System of Instruction (PSI) a.k.a. the Keller Plan (1968). (9) Enhance retention and transfer to the job. The following is a description of Week 2 (Home) of the Learning Theories module. This week I looked at the brilliant hypertextual concept map of established learning theories designed by Richard Millwood. It is called Learning Theory v6 and was part of deliverable D2.2.1 for the HoTEL EU project. Millwood, R. (2013). Learning Theory. HoTEL EU Project v6. The following is a reflection on Week 2 (Class) of the Learning Theories module using Gibbs Reflective Cycle. Today’s class represented the second class of five classes that will constitute the core teaching section of Module 1 (Learning Theories). The lecturer for today was Ms Orla Hanratty. Learners make mental models or ‘constructs” from their personal understandings based on knowledge not experience. (See Jordan, Carlile & Stack, 2008, p.55). This is a a learning theory stemming from the constructivist model, noting that students learn best when they are able to construct a tangible object or product which they can share with others. This is the philosophical and scientific position that learning is the result of social interaction and the use of knowledge. This is also known as ‘critical pedagogy’. It emphasises the importance of learners being self-reflective and able to challenge dominant social views. It emphasies the idea that knowledge is linked to power. Critical constructivism maintains that historical, social, cultural, economic, and political contexts construct our perspectives on the world, self, and other. It encourages the establishment of dialogue orientated towards achieving mutual understanding. Critical constructivist thought encourages the questioning of dominant systems of knowledge production and the opening-up of a dialogue concerned with critical awareness. The principal individuals who contributed to this field of study were Michel Foucault (1926 – 1984), Paulo Freire (1921 – 1997) and Jürgen Havermas (1929 – present). This is the process of learning through experience, and is more specifically defined as “learning through reflection on doing”. Beginning in the 1970s, David A. Kolb helped to develop the modern theory of experiential learning, drawing heavily on the work of John Dewey, Kurt Lewin, and Jean Piaget. This involves contextual or situated learning resulting from co-participation with others. It is often associated with how we learn professional skills. Situated learning is an instructional approach developed by Jean Lave and Etienne Wenger in the early 1990s, and follows the work of Dewey, Vygotsky, and others (Clancey, 1995) who claim that students are more inclined to learn by actively participating in the learning experience. Situated learning essentially is a matter of creating meaning from the real activities of daily living (Stein, 1998, para. 2) where learning occurs relative to the teaching environment. e.g. Communities of Practice (Lave & Wenger, 1991). 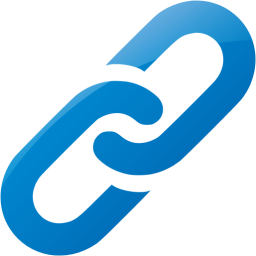 Community => help each other and share information. Communities of Practice versus Formal Work Group versus Project Work. In a much later work, The Culture of Education (1996), Bruner postulated that culture provides a framework and an environment for learning. He worked in the area of social learning / cognitive theory. He is from a behaviourist tradition and is interested in imitation. In 2008, he contributed to work on self-regulating efficacy in relation to the overload of information available through technology. He was a pioneer of the constructionist movement in education which built upon the work of Jean Piaget in constructivist learning theories. He was author of the important book Mindstorms: Children, Computers, and Powerful Ideas (1980) as well as the co-inventor, with Wally Feurzeig and Cynthia Solomon, of the Logo programming language. He said that as a person matures the motivation to learn is internal. His theories addressed the relationship between power and knowledge, and how they are used as a form of social control through societal institutions. Power is used to control and define knowledge. What authorities claim as ‘scientific knowledge’ are really just means of social control. Foucault shows how, for instance, in the eighteenth century ‘madness’ was used to categorise and stigmatise not just the mentally ill but the poor, the sick, the homeless and, indeed, anyone whose expressions of individuality were unwelcome. Dewey often described education as a mechanism for social change, explaining that “education is a regulation of the process of coming to share in the social consciousness; and that the adjustment of individual activity on the basis of this social consciousness is the only sure method of social reconstruction”. Freire’s work, however, updated the concept and placed it in context with current theories and practices of education, laying the foundation for what is now called critical pedagogy. His most famous book, Pedagogy of the Oppressed, was first published in Portuguese in 1968. In this book, Freire champions that education should allow the oppressed to regain their sense of humanity, in turn overcoming their condition. He considers his major contribution to be the development of the concept and theory of communicative reason or communicative rationality, which distinguishes itself from the rationalist tradition, by locating rationality in structures of interpersonal linguistic communication rather than in the structure of the cosmos. Beginning in the 1970s, David A. Kolb developed a model of learning through experience and created the modern theory of experiential learning, drawing heavily on the work of John Dewey, Kurt Lewin, and Jean Piaget. The Kolb experiential learning cycle basically involves four stages: concrete experience, reflective observation, abstract conceptualism and active experimentation. Zone of Proximal Development (ZPD). ZPD is the area between what the student can learn unaided and what the student can learn with help. (Adapted from Carlile et al, 2008). Today’s class was the final stage three of the journey that took us from behaviourism (remember, understand) to cognitivism (apply, analyse – see the big picture) to constructivism (evaluate, create – see if something works). These are essentially the three learning theories that underpin Bloom’s taxonomy of the cognitive domain. The following is a reflection on Week 1 (Home) of the Learning Theories module using Gibbs Reflective Cycle. “Write 2 – 3 paragraphs considering to what extent have the learning principles highlighted in class today been applied in your professional context? How have you experienced them? The focus can be on you as a learner or as a teacher / trainer / consultant. This [paper] will provide a grounding for further exploration of theories in your professional context. (1) What are the key aspects of the theory I am interested in? (2) What are the implications of the theory for my practice in higher education/industry? (3) Going forward, how will this insight into theory influence my own professional practice/discipline for the future? (4) How did the authors explain their choice of theory? (5) What did they do to investigate from that theoretical stance? (6) Did they convince yoin their argument? (7) If so, why? If not, why not? The following is a reflection on Week 1 (Class) of the Learning Theories module using Gibbs Reflective Cycle. Today’s class represented the first class of five classes that will constitute the core teaching section of Module 1 (Learning Theories). The lecturer for today was Dr. Roisín Donnelly who is also the Course Co-ordinator for the MSc in Applied eLearning course. Ability to connect, subject knowledge, passion/enthusiasm, flexibility, clarity/logic, warmth/approachability/sense of humour, ability to create an open learning environment, ability to use a variety of tools, ability to encourage/develop/support students, patience. It works in practice but will it work in theory? The theoretical underpinnings of pedagogy. Carlile, O., & Jordan, A. (2005). It works in practice but will it work in theory? The theoretical underpinnings of pedagogy. Emerging issues in the practice of university learning and teaching, 1, 11-26. The class was also encouraged to have a look at Marc Prensky’s website. According to his website, Marc is “…an internationally acclaimed speaker, author, innovator and consultant in the field of education. Finally, the class was encouraged to check out David Perkin’s (Harvard University) ‘threshold concepts’. I had some difficulty in searching for references to this but eventually found a link to a keynote lecture Perkins gave at the Third Biennial Threshold Concepts Symposium in Australia in 2010. It was satisfying to feel that the course that I had carried out a fair degree of due diligence was finally under way. I enjoyed today’s class and it felt good to be studying learning theories after a gap of 26 years! I had last studied learning theories in the ‘Psychology of Learning’ module during the first year of my M.Ed. degree course in 1990/91. 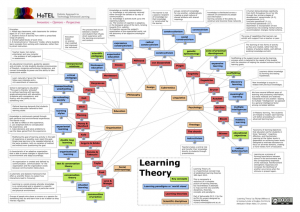 The Carlile and Jordan paper was a good starting point for an overview of learning theories. 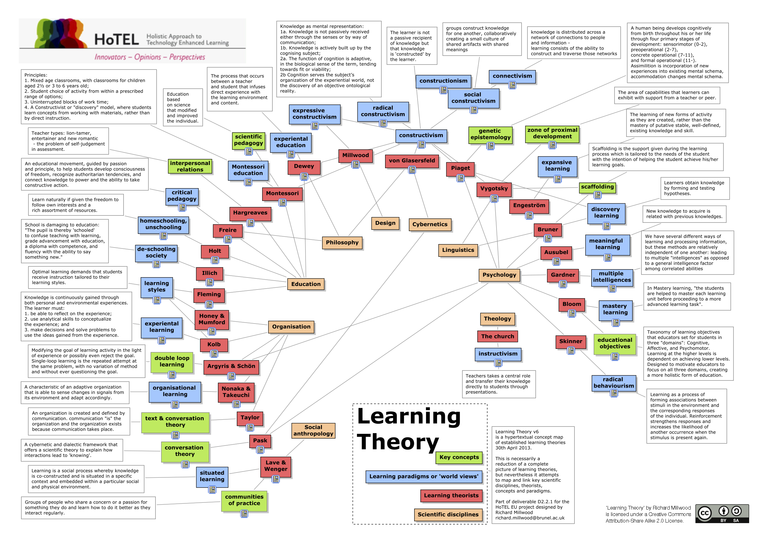 However, today’s class reminded me of the breadth and depth of the field of learning theories. Behaviourism, cognitivism, constructivism and social constructivism. Behaviourism: Pavlov, Thorndike, Watson, Skinner, Gagné. Cognitivism: Piaget, Bruner, Vygotsky.Constructivism: Piaget, Von Glaserfield, Bandura, Dewey, Habermas. Social Constructivism: Vygotsky, Bruner, Bourdieiu, Foucault. I will have to spend some considerable time familarising myself with the main learning theories and the important players (learning theorists) in the field. Carefully read the Carlile and Jordan paper during the week and if I have time, do some further reading from elsewhere on learning theories. Check out Marc Prensky’s website. Check out David Perkin’s (Harvard University) ‘Threshold Concept’.